I am not really sure what the point of these type of releases are unless you are going to take a completely new take on the classic record. Otherwise, I will want to hear the original. So, what does this band do, you say? Ok... first a bit about the band. 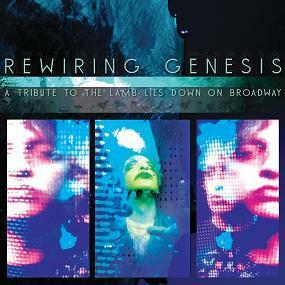 This project is driven by Spock’s Beard vocalist Nick D’Virgillio and producer Mark Hornsby. The rest of the band is Dave Martin on the bass, Jeff Taylor on keyboards and Don Carr on Guitars. Great musicians and great voices and Nick does not try to be Peter. He does it his own way. I think people will be quite impressed with the depth of the sound production as well. Experimental pieces like the Waiting Room on the second CD sound amazing. What more to say?? If you are a fan of Genesis and have open ears, this is well worth taking a stab at. Quality stuff.